I have been a member of Casting Now for a few months and I have had several calls and emails from production companies. I have also been short listed for two feature films. Thank you Casting Now. There could be several reasons why you might be interested in film extras or tv extras work. 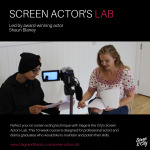 You might be interested in getting actual acting experience on stage or screen or you might be excited to work alongside a famous actor or with a well known film company. If you have just walked out of some acting school, extras film or extras tv work might be an opportunity for you to enhance your knowledge and skill that you have derived from the books. You might also be looking for extras work to earn some additional income or to satiate your thirst for visiting new places and travelling to far off countries and locations. Whatever be your individual interest and reason for taking up film extras and tv extras work, you will be glad to know that getting extras work is not that difficult. One of the reasons is that extras are generally background artists or supporting actors that are not given any specific dialogues to speak. They are just required to be there in the background, in a shopping mall or movie theatre or ay other place where the lead actors are present. In rare cases, the extra artists are required to interact with the lead actors where they are given a line or two to say. As a result, filming companies are not very particular in hiring extras. No matter whether you are tall, short, dark, fair, bald, hairy, slim, fat, young, old, you can easily get the extras work. Another good thing is that most film companies do not organise auditions for film extras. Knowing about the auditions and then giving the auditions is a tough job. If you are new to the entertainment industry, things can be even more challenging for you as you might find it difficult to know where extras are required. If you have friends in the entertainment industry, you can ask them about extras film openings or tv extras work. Or, you can find extras work on your own by searching online. There are a lot of websites that list extras work in films and tv online. You can apply to the extras work that you find interesting and or can visit the production company or casting agent in person. If they like you, they might offer you the work. Extras work doesn’t pay well. If you do not set high expectations from film extra or tv extra role, you can improve your prospects even better. Just grab the extras film or extras tv work that comes along your way and it would prove beneficial for you in the long term.